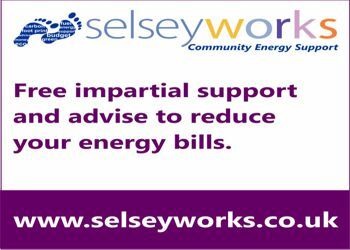 SelseyWorks have been given funding to deliver Home Energy Advice to residents across the Manhood Peninsula. The funding has been recieved from The Ferry Farm Community Solar project, situated between Selsey and Sidlesham, West Sussex and SelseyWorks is one of seven local projects which will benefit from the first phase of awards provided via its community grant fund. Any member of the community can access support via the regular drop in service; our local Energy Expert will be available every Thursday and appointments can be made to help residents find the best utility supplier for them. SelseyWorks plan to provide reach out education through local schools and groups in the area to help the community understand green initiatives and see how they can get involved.